Enable automation and control of industrial processes and enhanced business performance with user-friendly tools. Benefits include safeguarding your plant equipment, protecting people, the environment, and assets, preventing unnecessary shutdowns, improving asset availability, and enhancing operator effectiveness. 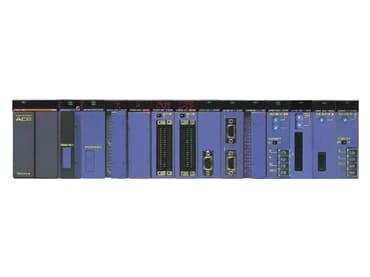 Our control configuration tools enable operators to set controller configuration parameters or create custom computation programs via the optical communications adapter attached on the controller front panel. 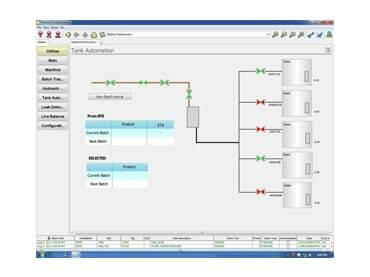 A Distributed Control System (DCS) is a platform for automated control and operation of a plant or industrial process. 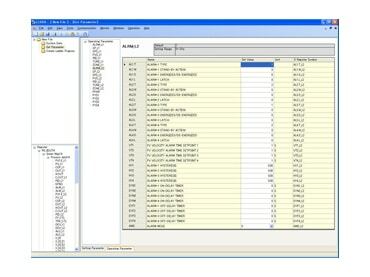 A DCS combines Human Machine Interface (HMI), logic solvers, historian, common database, alarm management and a common engineering suite into a single automated system. Limit controllers should be used for processes where there is a safety or quality requirement to protect a process from damage caused by excessive temperatures. If the pre-set temperature limit is exceeded, then the output switches to shut down the system. 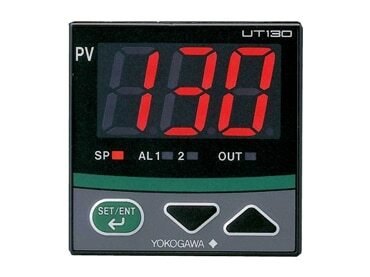 Our manual setters can be used as a remote setter for digital indicating controllers. 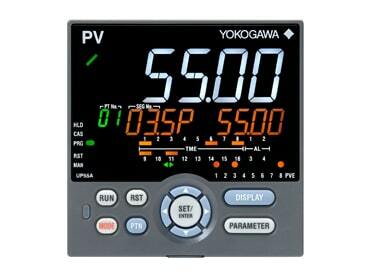 They have PV display and transmit 4-20mA DC by manual operation. 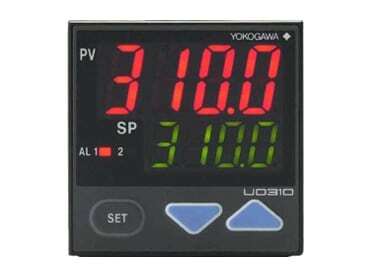 Panel indicators are digital panel meters with easy to read LED lights. 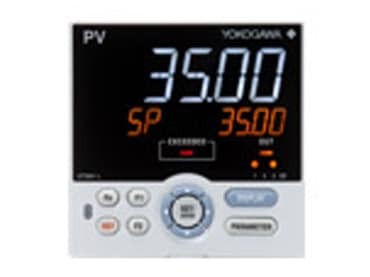 They can be used as a digital indicating controller for control rooms and instrumentation panels in process automation sites. 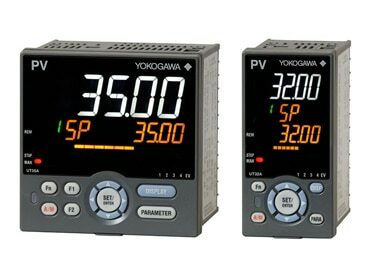 PID controllers provide the most accurate and stable control as they have the ability to automatically compensate for changes within the system. 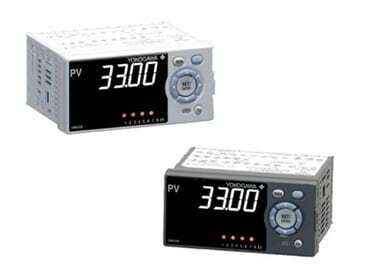 Our PID controllers include both heating and cooling control and RS-485 communication is available. Process controllers precisely control and monitor temperature, pressure, level or flow in batch or continuous processes. 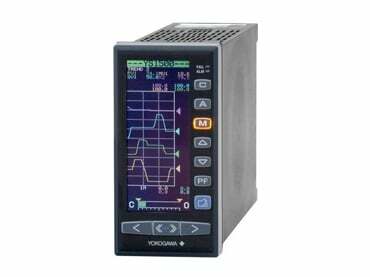 They can also back up critical or safety-related loops controlled by PLC, RTU, DCS and PC-based systems. Program controllers allow you to create programs that can reliably maintain desired temperatures for specific lengths of time regardless of weather-influenced outside temperature fluctuations. Our program controllers provide up to 30 program patterns and simultaneous monitoring of 8 PV events, 16 time events and 8 alarms. 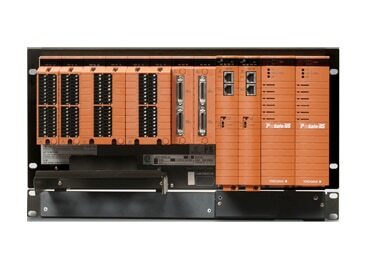 A Programmable Logic Controller (PLC) is an industrial computer with inputs and outputs used in the control and automation of industrial processes. A PLC is designed to withstand harsher factory conditions and provide real time deterministic control and monitoring. Safety Instrumented Systems (SIS) protect against the potential incidents that can affect people, assets and the environment in and out of the plant. They are also equipped to prevent unnecessary shutdowns, improve asset reliability and enhance operator effectiveness. 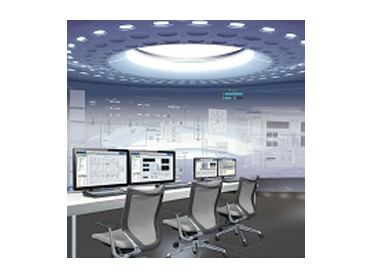 Supervisory Control And Data Acquisition (SCADA) Systems are typically used for monitoring and control of small or large-scale processes, which can span multiple sites across large distances. Common applications that utilize this technology include oil & gas production fields, pipelines, water and wastewater. Single loop controllers receive temperature, flow rate, pressure and other types of measurement readings from sensors and send corresponding instructions to control elements in order to maintain these values within a desired range. 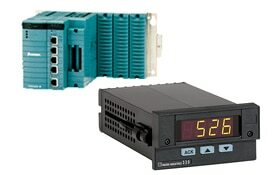 Temperature controllers are designed to control temperatures within your application. Our temperature controllers employ an easy-to-read, 14-segment large color LCD display along with navigation keys, greatly increasing their monitoring and operating capabilities.